In this section, you will learn how to create a basic test plan to test a database server. 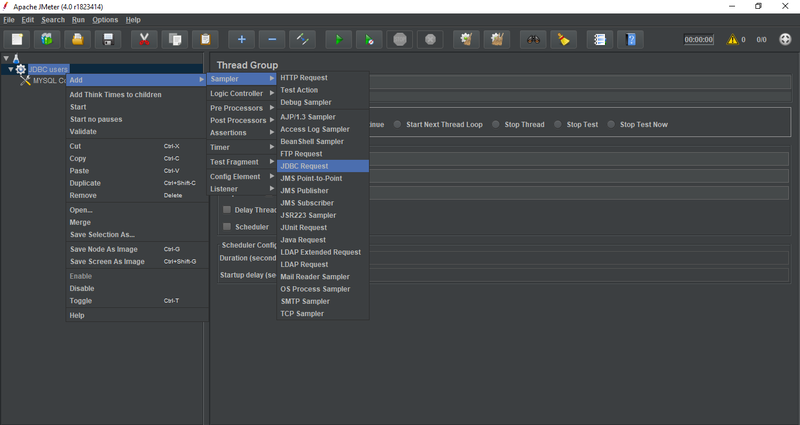 For our test purpose we will create a database using MySQL workbench. You can use any other database server as per your convenience. 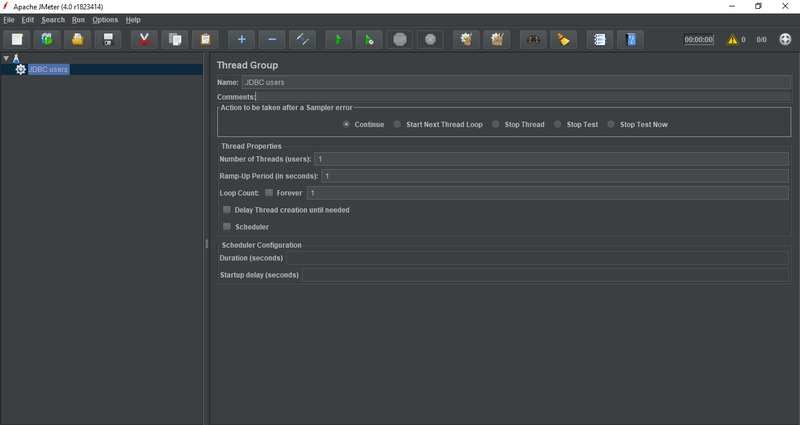 You can also refer our MySQL database tutorial https://www.javatpoint.com/mysql-tutorial to learn more about database creation. 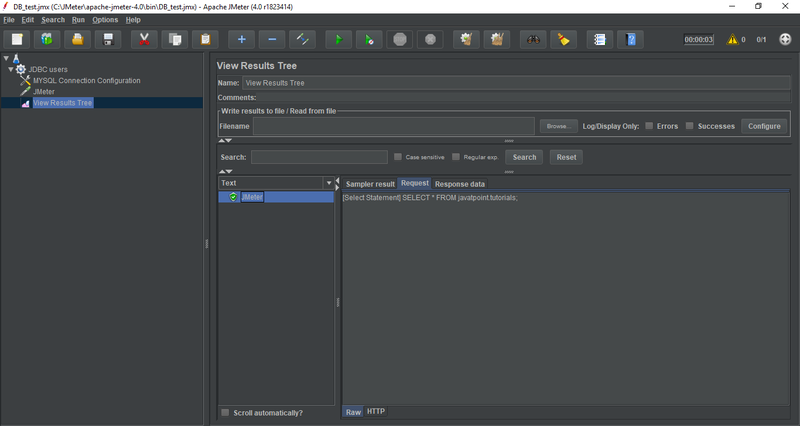 Create a database with name "javatpoint". 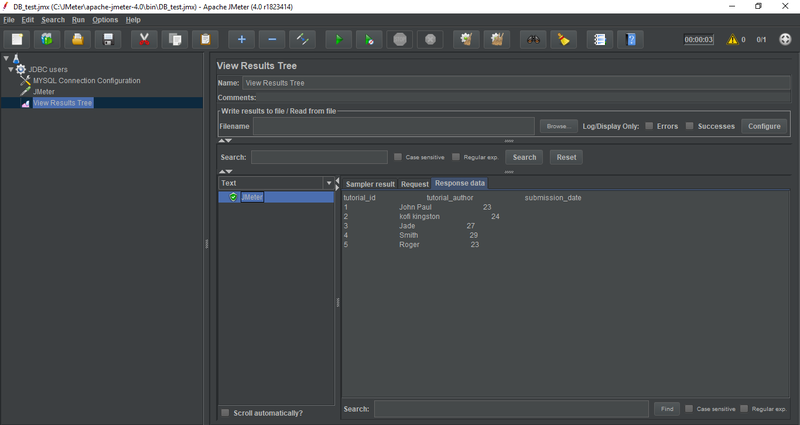 The following image shows the database with their records which we have created using MySQL work bench. Note: You need to copy the appropriate JDBC driver to "lib" directory of apache-jmeter-4.0 folder. 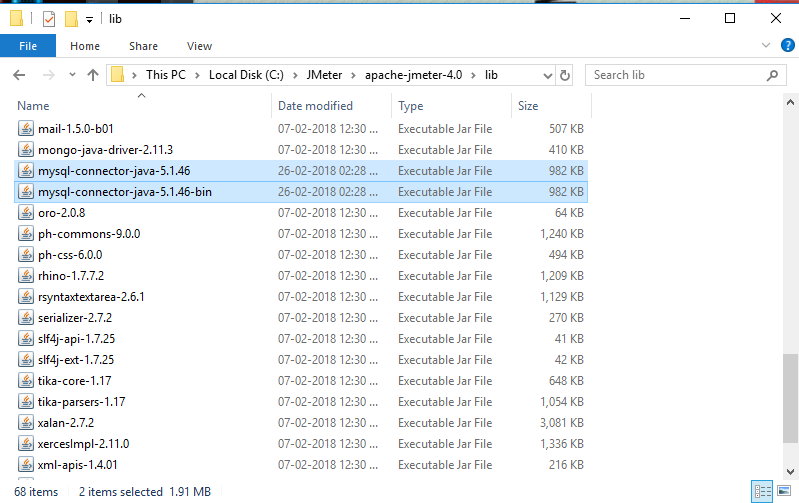 For example, the following image shows the respective .jar files in the C:\JMeter\apache-jmeter-4.0\lib folder. The default properties of the thread group remain unaltered. 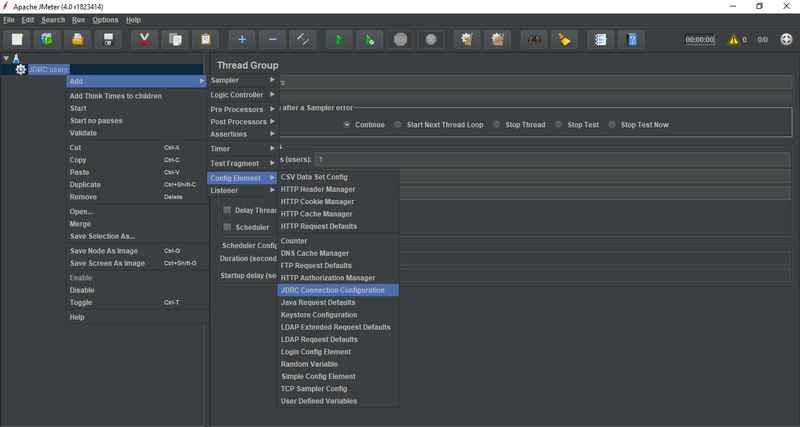 Right click on the JDBC users element. 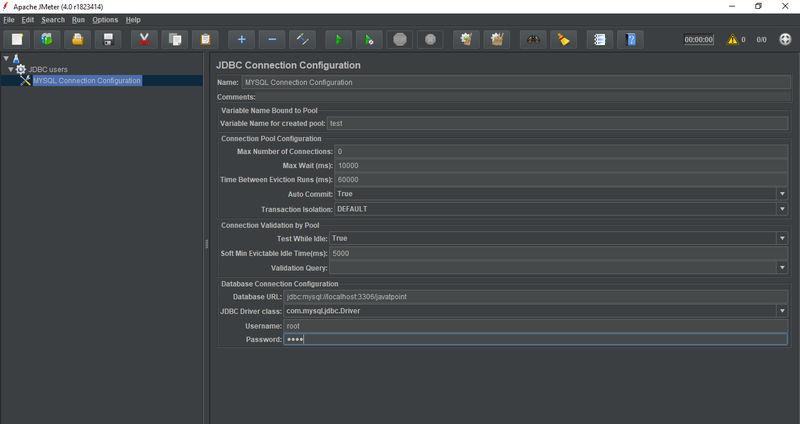 Select Config Element > JDBC Connection Configuration. Variable name bound to pool - It identifies the configuration uniquely. This name will further be used by the JDBC Sampler to identify the configuration to be used. We have named it as test. JDBC Driver class - com.mysql.jdbc.Driver. Password - password for root. Other fields are left unaltered. 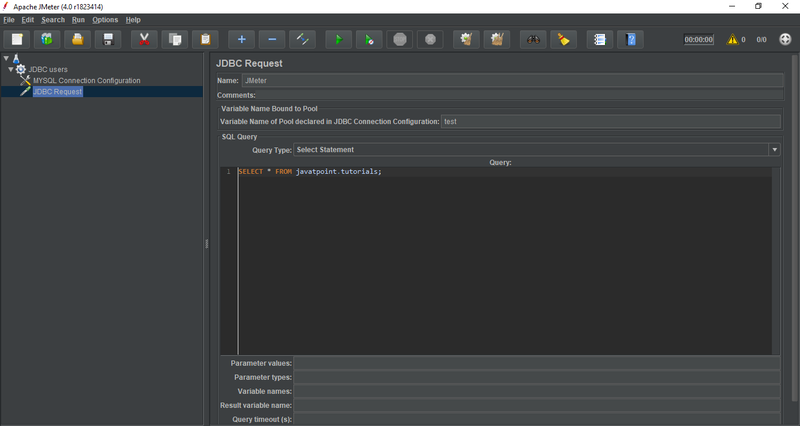 Select Sampler > JDBC request. Enter the Pool Name - test (same as in the configuration element). Query Type - Select statement. Query- Enter the SQL Query string field. 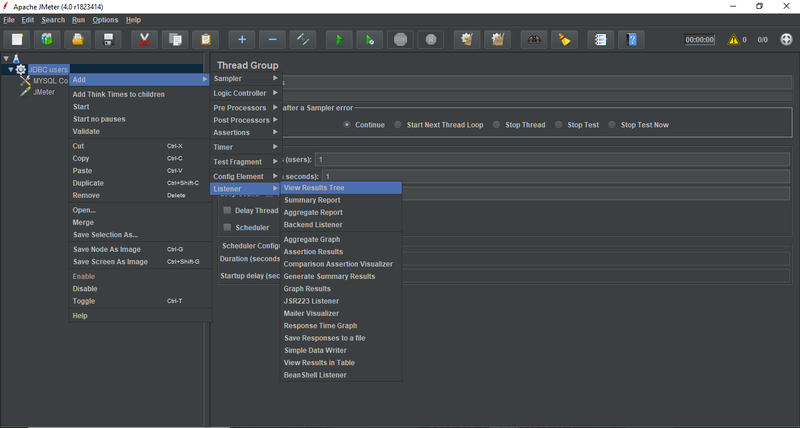 Select the JDBC users element. 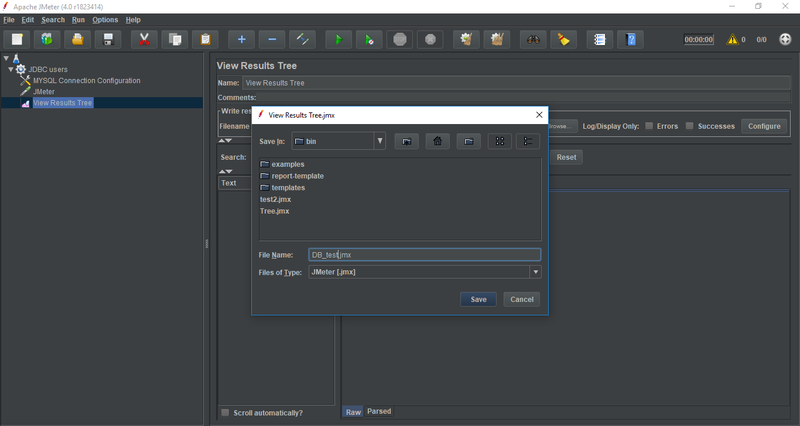 Select Listener > View Results Tree. 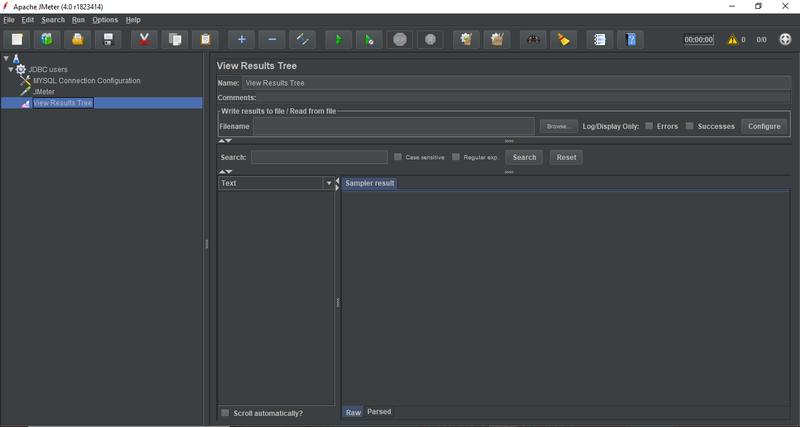 The following image shows the default View Results Tree interface. Save the entire test plan as DB_test.jmx. Green colour against the name JMeter indicates successful execution of the Test Plan. 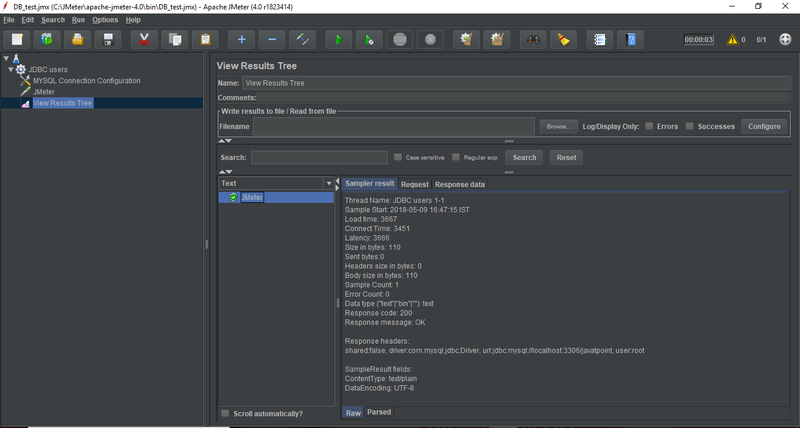 The Response data tab shows the records of database "javatpoint".